This week’s inspirational party features don’t have anything in common as far as themes, but they are ALL creative and quite impressive. 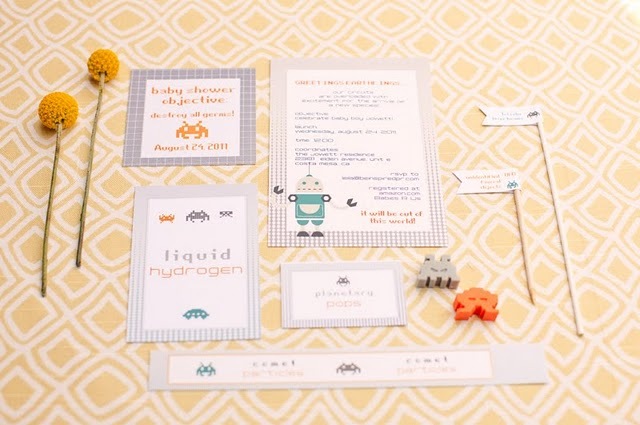 For instance, take a look at this unique Robot-Space Invader Baby Shower from JL Designs - such an original theme, and the party design is adorable. Everything about this shower is sophisticated and beautiful, yet the theme is so whimsical and fun! 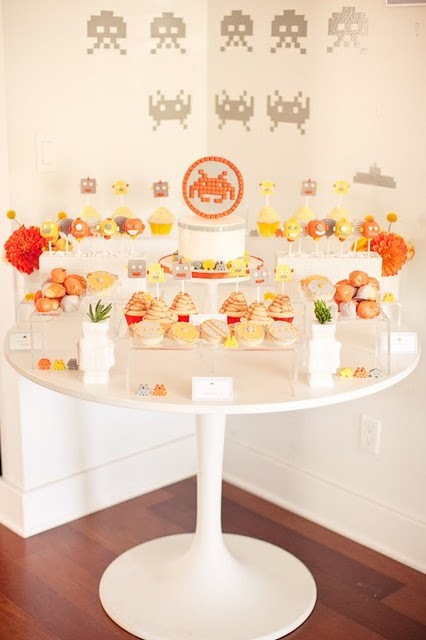 The robot/space theme is incorporated into all aspects of the party, including: the names of refreshments – “rocket fuel” and “liquid hydrogen”, the “mega-bytes” snack table, and the custom shower game of Taboo. The bright color palette used in the styling of this baby shower is perfect for creating a vibrant, joyful atmosphere which is exactly what you want when celebrating such a happy occasion. One suggestion when planning a party this fantastic is to consider hiring a photographer to capture photos of the beautiful display/décor, while also snapping candids of your guests. A baby shower will have many memories you will surely want to preserve! Another party I fell in love with is this Music First Birthday from Mint Daisy Design Studio. 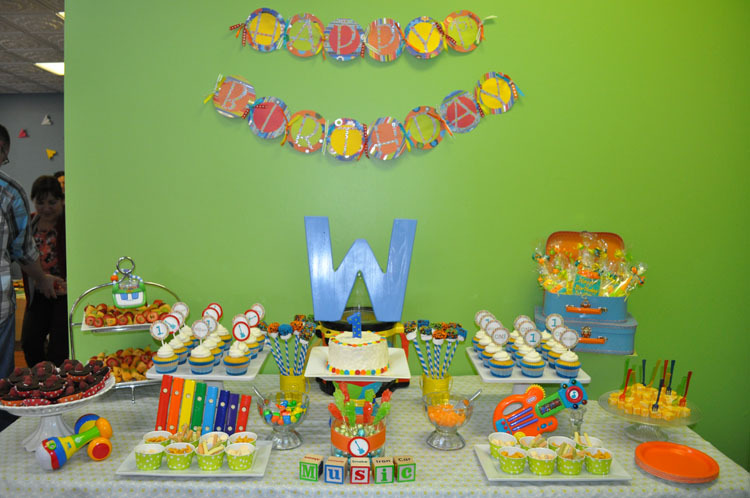 The party décor for this celebration includes fun colors, stripes, polka dots, toy musical instruments and cute printables. Everything comes together perfectly to create a gorgeous party. Munchies included instrument shaped cookies, cupcakes, brownies, and chocolate covered marshmallows (yummy!). But, don't let all those sweets fool you - this smart mommy also put out veggie sticks, baked goldfish and other smaller snacks that would be appropriate for the babies that were in attendance. And, what kind of music themed birthday party would it have been without a live performance? 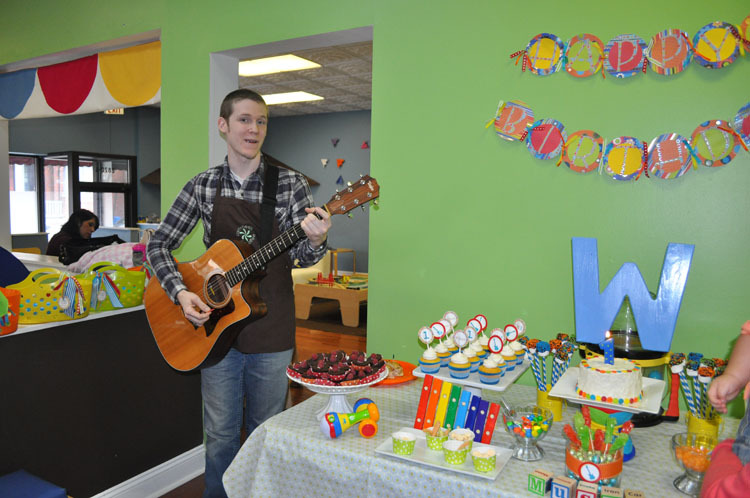 This special party included a guitar player who sang happy birthday to the little guest of honor. If you are hosting a music themed kid’s party and you want a different type of musician, take a peek at our children’s musicians that are sure to entertain all ages of music lovers. If you are a donut lover, then you will adore this next party. And yes, I said donut lover. 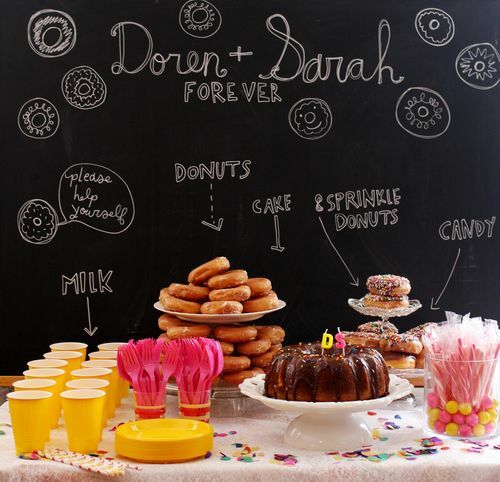 Take a look at this Donut Themed Wedding Shower from A Beautiful Mess. With a donut themed shower, you don’t really have to think too hard about menu items, just make sure you have some tasty donuts, donut holes and plenty of milk! Coordinating pink and yellow balloons, linens and tableware are used to decorate for this sweet event. 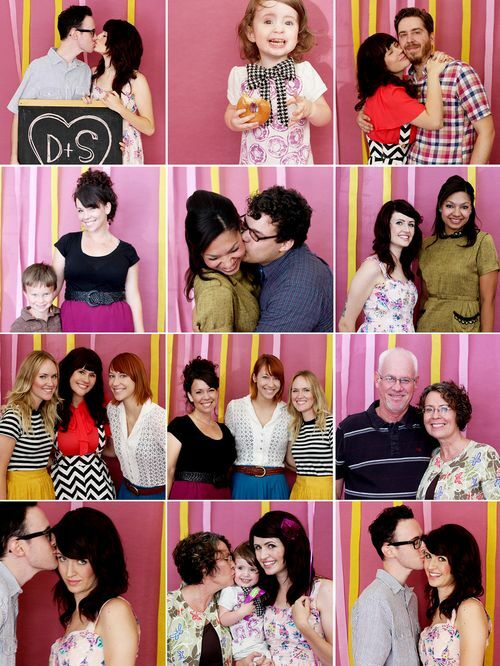 Guests were asked to hop into a photo booth during the shower to take a few fun keepsake pictures. I love this idea, and it is perfect for this cute shower theme. If you are looking for more party planning inspiration, check out our homepage for more ideas and resources. What did you think about this week’s featured parties? Let us know in the comments below.